Usually when companies buy new computers, often they donate old computers to some institutions or to individuals who need computers. This is an extensively acceptable practice. But are you ready to give much more than your computer worth? Many people are not aware about it that when they are giving old computers to some other people, they are also giving the opportunity to recipients to access their data stored on computer hard disk. To prevent others from accessing or recovering deleted files from your computer, you need to wipe free space using a third party tool. Is it necessary to wipe free space in Windows 7? When you delete any file on your computer, Windows 7 will remove references to that file but it doesn't erase actual data from the hard drive. Over a period of time, the Windows 7 can utilize this space for overwriting new files. It means that someone can recover your deleted files from computer by using powerful third party recovery software. So you need to wipe free space Windows 7 for security and privacy reason. Here a detailed procedure and explanation is provided to wipe free space on Windows 7 operating system. 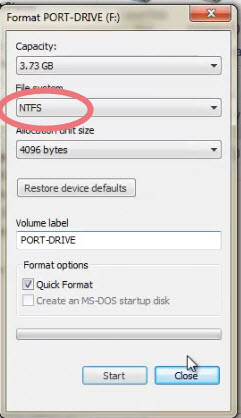 Step 1: Format the drive with NTFS file system because Windows operating system will support only this file system for wiping process. The right way to wipe free space in Windows 7 is making use of Remo Optimizer software. It is commonly used in Windows 7 computers to erase free space for security purpose. One can download it for free. This software has a unique tool - Privacy Cleaner, which enables you to erase free space so that the deleted files from this space cannot be recovered by using any third party application. If you are not fully aware about the Remo Optmizer software, let us know here how it works. The Remo Optmizer tool is designed with a tool called privacy Cleaner that has inbuilt standard wiping techniques i.e. Fast Zero Write, Random Write and DOD 5220.22.M. By using these methods the software will overwrite free space in Windows 7, to make the files completely irrecoverable from it. It will overwrite deleted files space with 0's (Zero) or some random characters. Third method is a defense standard technique which helps to clean up data beyond recovery. User can select the particular drive to erase free space from it. Remo Optimizer software is very much fast as it is developed by using latest sophisticated technology. To wipe free space of any size (200 GB, 300GB, 500GB, etc), you need not wait for more time. You can save your valuable time by erasing free space quickly by using Remo Optimizer software. There is no need to pay for wiping free space as this software is provided for free to everyone. The user-interface of this software is fully convenient to professionals as well as average users. All steps are self-descriptive so that there is no need of computer experts' help. Apart from Windows 7, it can also be used on Windows 10, XP, Vista and 8. Besides the internal hard drive, this software also supports to wipe free space from USB drives and memory cards like SD card. Step 4: Wait while cleaning free space securely as shown in . 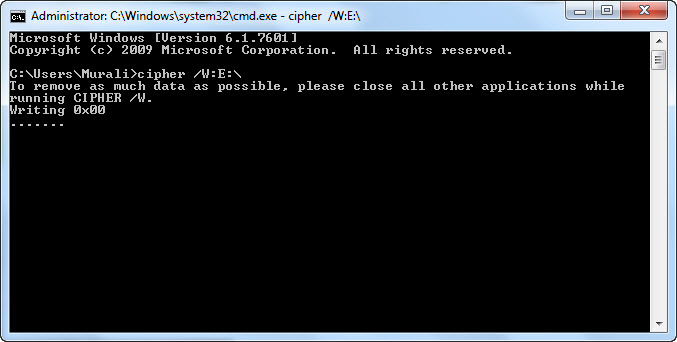 Step 5: Finally, you will get a window with the message like "Wiping process completed" as in .